We wanted our users to know that this software was “designed for police officers on the front line ... by police officers on the front line”, which is our tag line. So, “frontline” was an important word that we wanted in the naming convention. We identified a void in the industry. There was no common or universal way of collecting, tracking and reporting of data in police department systems. Some information was stored in Excel files; other information was handled by paper and pen. Sharing this information was also complicated. Some departments made Xerox copies of pertinent information and passed them out to individual officers. Others shared the information verbally during roll call. 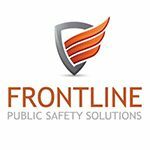 We wanted to offer an easy, simple system to allow police departments to gather, store, and disseminate information all from one software center. We also wanted to streamline these functions by allowing the public to have the ability to report information without actually calling the departments. This process actually gives valuable time back to the departments to be spent on more urgent needs. We have two signature products: the Tool-Kit and the Training Tracker. The Tool-Kit was designed to help police departments, citizens and community organizers stay in tune with each other. The Tool-Kit offers 11 different modules that collect, store, and report information all from one central software system that is cloud-based. Included in the modules are Overnight Parking, Vacation Watch, Directed Patrol, Condition Report, Pet Management, Bike Management, Business Keyholders, At-Risk Residents, Citizen Reporting, Contact/Trespass Warning, and Tow Manager. Information can be taken by desk officers, clerks and other personnel and made available to patrol officers in real time. This system allows for access to information from any type of computing device including desk computers, police car mobile units, and tablets. These modules also allow the public to make entries online instead of calling a dispatch center. This function has saved tens of thousands of phone calls from going through dispatch centers. Training Tracker enables police departments to have one place to store and manage all of their training records, including: managing officer rosters; setting up training courses and scheduling events; inviting officers to events via email; managing budgets; and running reports on expenses, mandates and certificate requirements. It is a one-stop storage solution designed by people who know what type of data needs to be collected and reported on quickly. The world is changing and we all need to stay in pace with it. We have developed software that allows these government agencies to stop using outdated spread sheets and notepads and start utilizing the most up-to-date technology. Our products are both easy-to-use and state-of-the-art, and they allow agencies to save time and stay organized so that the personnel normally required to do the tasks associated with our products can spend their time on more important matters. Product knowledge is the key. Since there are currently no products like ours in the marketplace, many police departments don’t even know what they are missing. Our products were designed by police officers who know the pain points of daily law enforcement tasks. Getting the chance to meet with police departments and demonstrate exactly how our products can save time and resources is imperative. Since some departments have become “comfortable” with what they have to work with, educating them on tools that will improve productivity is a real challenge. We pride ourselves on the fact that our products were designed by law enforcement officers who know firsthand the difficulties each police department faces and how to improve their operations. Our products are simple, easy-to-use and can be customized to meet the needs of each department. When we get the “wow” during a demonstration, we know we made the right choice to develop our products. Just how simple and cost-effective they are to use - and how much time they get back. We know how important the job of a first responder is and having the ability to offer them a product that will actually make a difference in their productivity is really an honor. For that product to be software just makes it extra special. We are constantly improving our products based on customer feedback. What is nice about providing web-based software products is that we can update and improve them at any time and offer them to our customers in real time. These are not off the shelf, use “as is” products. If there is a need for a new module for one police department, the odds are that all our other customers can benefit from it as well.